It is amazing how quickly your soft, spotless, and beautiful carpets can turn into shaggy, dirty, and embarrassing. Carpets can create a very cozy environment in your home, but, they can also be a trap for dirt, bugs, and other harmful bacteria. They can quickly deteriorate and develop odors if not cleaned properly. 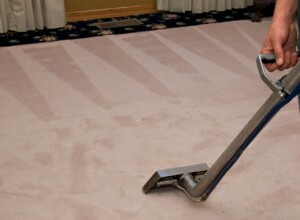 Carpets should be vacuumed and cleaned on a regular basis. They also require occasional steam carpet cleaning by trained professionals. A carpet in a family’s home quickly becomes infested with dust, bacteria, bugs, and feces. Every time your family walks on the carpet, it traps all that they are carrying on their shoes. All of these particles create foul odors and can trigger allergies. Professional steam carpet cleaning services will deep clean your carpet by eliminating all of these particles using heat, scrubbing, and state of the art equipment. Investing in professional cleaning services will save you on the long run because your carpets will last longer and you will spend less on cleaning products. Removing and replacing a carpet can be very expensive and time consuming. You can prolong the life of your carpet by having professional steam carpet cleaning on a regular basis. This will leave your carpets looking and smelling like new.